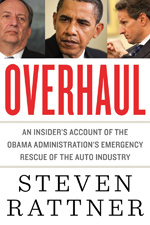 Mr. Rattner wrote the book Overhaul: An Insider’s Account of the Obama Administration’s Emergency Rescue of the Auto Industry about his time as Counselor to the Secretary of the Treasury leading the Obama Administration’s successful restructure of the automobile industry. Before this, in 2000, Mr. Rattner formed Quadrangle Group LLC, a private investment firm that had more than $6 billion of assets under management. He was Managing Principal there until February 2009. 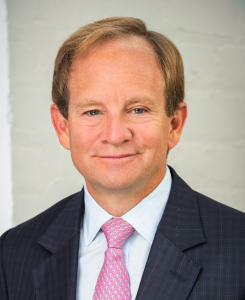 Before the start of his investment banking career, Mr. Rattner worked as a journalist for The New York Times for nine years, mostly as an economic correspondent in New York, London and Washington. In 1982, he joined Lehman Brothers and was then a Managing Director at Morgan Stanley before leaving to become a General Partner at Lazard Frères in 1989. While at Lazard Frères & Co., he served as Deputy Chairman and Deputy Chief Executive Officer. Mr. Rattner has dedicated time to both public and philanthropic organizations as a board member or trustee. He was the Chairman of the Educational Broadcasting Corporation, a Fellow at Brown University and Chairman of the Mayor’s Fund to Advance New York City, among others. He is currently a member of the Council on Foreign Relations. As a graduate of Brown University with honors in economics (1974), Mr. Rattner was awarded the Harvey Baker Fellowship. He is married to former State Department official Maureen White. They have four children.